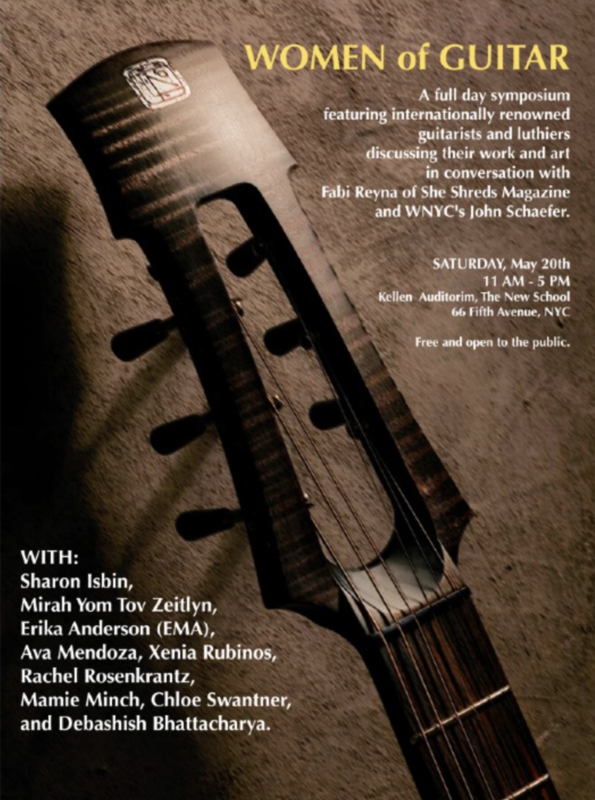 A full day event featuring internationally renowned guitarists and luthiers discussing their work and art, in conversation with Fabi Reyna of She Shreds Magazine and WNYC’s John Schaefer. Guests included Sharon Isbin, Mirah Yom Tov Zeitlyn, Erika Anderson (EMA), Ava Mendoza, Xenia Rubinos, Rachel Rosenkrantz, Mamie Minch, Chloe Swantner, et. al. This entry was posted in collab, Events, Guitar, Music, Sound and tagged music, women guitarists on 2017/05/20 by ed keller.